But these guys are anything but hipster upstarts that were in the right place at the right time. 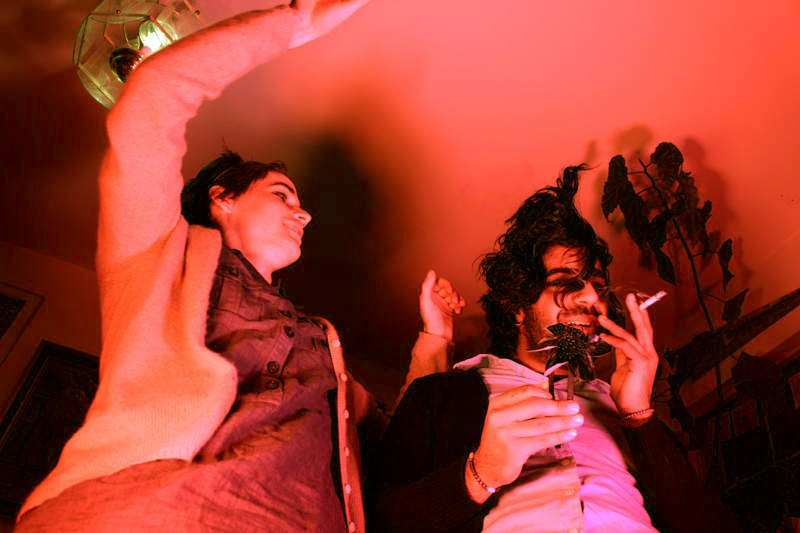 The duo have known each other since high school, and after Fareed went to university they decided to devote all their time to creating a weird pop project, which Headless Horseman is the end product. The recording process has been a bizarre evolutionary process, whereby the songs are created with big sounds, all folky Americana minor stadium stuff, then are edited to within an inch of their lives to subvert the sounds. Speaking to Fareed, he says of the process, "We would reverse vocals, cut up sounds until they are just blips and beeps. EQ the drums all weird, and use weird drums, like pots and pans, broken cymbals. So yeah, the songs started to become more like the electronic music we listened to, like Xui Xui and the Knife and Javelin, rather than the place where we started which was more Sigur Ros/Grizzly Bear influenced." However, in doing so, the end tracks sound organic in and of themselves, a minor feat. I noted the slight similarities to some tracks to Animal Collective, and Fareed laughed. "I love Animal Collective, especially the Sung Tongs era, but Connor is not really an AnCo fan at all, surprisingly enough!" So their final product? Sounds like a lot of jittery fun - 'Wavlngth' sounds like Broken Social Scene mashed up with shoegaze, whilst minimalist 'SH8KR' has a slithery jazzy beat lurking underneath, with slight RnB influences conveying more than one genre at play here. Headless Horseman is priming up for more dates and their first release, and are ably managed by a member of the blog-heavy group Das Racist. Expect to hear more from these guys in the very near future - we here at Sonic Masala aim to keep all of you abreast of their travails.